Beatrice Marguerite De La Motte was born in Duluth on June 22, 1903. Her parents were residing in Superior, Wisconsin, at the time but within about a year had moved to Duluth, where her father, Joseph, practiced law. Her mother, Nellie, was a homemaker. They also had a son, Joseph, born in Duluth on May 22, 1908. In Duluth they first lived in unit 8 of Munger Terrace, built by pioneer Roger Munger at 405 Mesaba Avenue as eight luxury townhouses. By 1907, they had moved to a modest home at 230 Sixteenth Avenue East. As a young child, De La Motte studied dance with Professor Leopold Leo, who ran a school in the Old Masonic Temple at Second Avenue East and Superior Street in Duluth. It is thought that Marguerite’s dancing was noticed by famous ballerina Anna Pavlova. This could have happened since Pavlova performed in Duluth’s Lyceum Theater on November 3, 1910, when De La Motte would have been seven, and Pavlova could have seen her dance then. De La Motte’s father had been having difficulties with his law practice for years, and in September of 1913 was disbarred for one year from practicing law in the state by the Minnesota Supreme Court. Shortly after, the family moved to San Diego, California. De La Motte was praised for her dancing in June of 1915 in an article in the San Diego Sun. About 1918, she was dancing on the stage of Sid Grauman’s Million Dollar Theater in Los Angeles where she was noticed by Douglas Fairbanks, who offered her a role in his comedy Arizona. De La Motte was just 16 years old when she made her screen debut in the movie. This led to De La Motte developing a friendship with Fairbanks and his wife, silent-screen darling Mary Pickford. Consequently De La Motte co-starred in several films with Fairbanks, including The Mark of Zorro (1920), The Three Musketeers (1921), and The Iron Mask (1929). Some of her fifty-eight other films include 5th Avenue (1926), The Red Dice (1926), The Girl Who Wouldn’t Work (1925), Montmartre Rose (1929), and The People vs. Nancy Preston (1925). These films had her playing opposite screen legends such as Bella Legosi, Lon Chaney, and others. Just as De La Motte’s career was picking up steam in 1920 (she made six films in 1919 and another six 1920), she was struck with the deaths of both of her parents. In January her mother died from injuries suffered in an automobile accident, and in August heart disease claimed her father. Both Marguerite and her brother were then cared for by producer J. L. Frothingham, who eventually assumed their guardianship. Happier times accompanied the upswing of her film career in 1924 when she married silent film actor John Bowers, but her marriage to Bowers was rocky, and they would separate before the decade was over. To add more tragedy, her best friend, actress and dancer Barbara La Marr, died from tuberculosis in 1926 at the age of 29. De La Motte’s success faded with the coming of “talkies” near the end of the 1920s. She had fewer featured roles, a few bit parts. 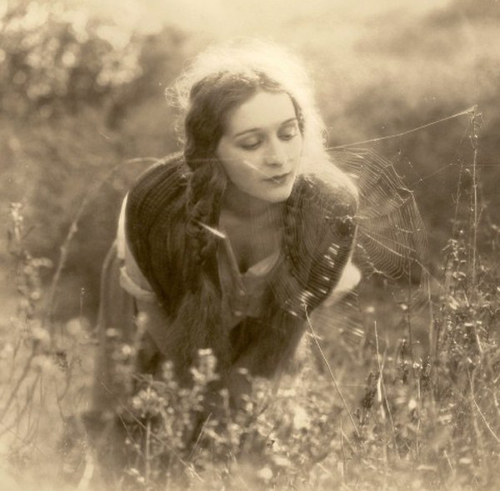 In the midst of this decline, Bowers, from whom she had separated, committed suicide in 1936. (Some people believe that Marguerite’s stormy marriage to Bowers, who had a drinking problem, was the inspiration for the 1937 film A Star is Born.) De La Motte would later marry Sidney H. Rivkin, but that union ended in divorce after four years. While she appeared in over 60 films, during the 1930s De La Motte only found work on two projects. She had a small role in 1941’s Reg’lar Fellas and an uncredited role in 1942’s The Man Who Returned to Life. Her film career ended in 1942 with an appearance in Overland Mail, in which she played Rose, a waitress. During World War II De La Motte worked as an inspector in a California war plant, and later moved to San Francisco to work for the Red Cross. She died in San Francisco on March 11, 1950, and is buried in Olivet Memorial Park in that city. She was just 47 years old.